The nomination papers of Uttar Pradesh Chief Minister Yogi Adityanath and his two deputies for Legislative Council by-poll were found valid during scrutiny today, making their victory a foregone conclusion. 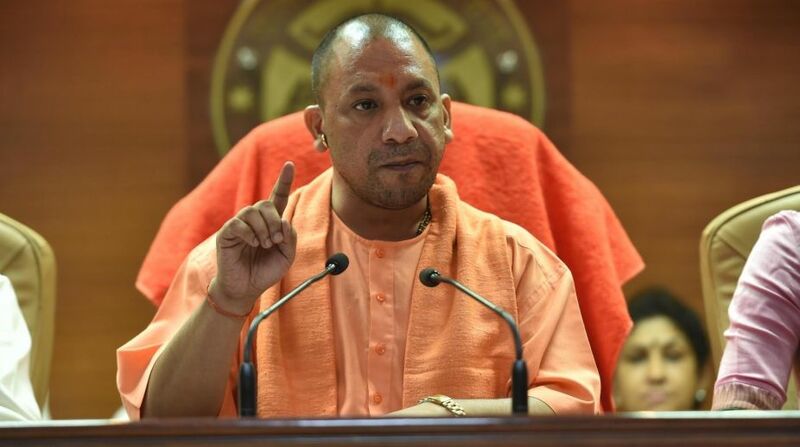 Besides Adityanath, his deputies Keshav Prasad Maurya and Dinesh Sharma, two more state ministers had filed their nomination papers yesterday. There are five vacancies in the Upper House of the state and with no other candidate in the fray, they are all set to be elected unopposed. “The nomination papers of Yogi Adityanath, Keshav Prasad Maurya, Dinesh Sharma and Swatantra Dev Singh were found valid during scrutiny today,” principal secretary UP Vidhan Sabha Pradeep Dubey, who is also the returning officer, said. The nomination paper of Mohsin Raza will be scrutinised on September 8 as the election to the seat he is contesting was notified on a later date. Of the five seats for which by-polls will be held, four were vacated by SP MLC Buqqal Nawab, Yashwant, Sarojini Agarwal and Ashok Bajpai. The fifth fell vacant when Jaiveer Singh resigned from the BSP and joined the BJP. Adityanath, who took over as the CM on March 19, has to become a legislator within the stipulated six months of assuming office. The deadline expires on September 19. Similarly, Maurya, Sharma, Raza and Singh are not members of either of the two Houses of the state legislature. All of them have to be elected to either the Assembly or the Legislative Council before September 19 in order to continue as ministers. Adityanath and Maurya are presently members of the Lok Sabha. Adityanath will become the third successive chief minister after Akhilesh Yadav (SP) and Mayawati (BSP) to adopt the Upper House route.